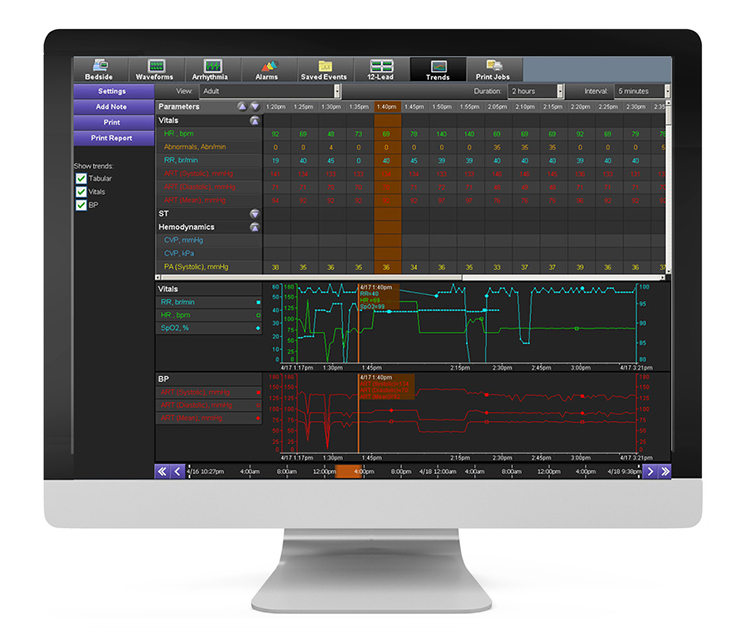 Set up your own format and your patients’ data will be collected from Spacelabs monitors and attached peripheral devices to create a customized flowsheet – one more useful clinical tool that is part of the Intesys® Clinical Suite (ICS) suite. With Custom Trends, when a patient is moving to your unit from elsewhere in the hospital, you can access the information you need even before they arrive, to speed your preparation and improve efficiency. And, at the end of your shift, it is easy to quickly produce complete, accurate reports. All monitored vital signs data, plus data from peripheral devices such as infusion pumps and ventilators, is included. Tailor your flowsheets and trend graphs to your own needs. You choose the view you want for a particular patient.